Canmore is a little mining town just over an hour west of Calgary. 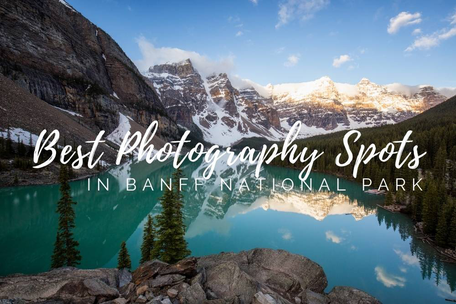 Being just outside of the borders of Banff National Park it's somewhat overlooked as a photography destination. Personally I like Canmore way more than Banff. 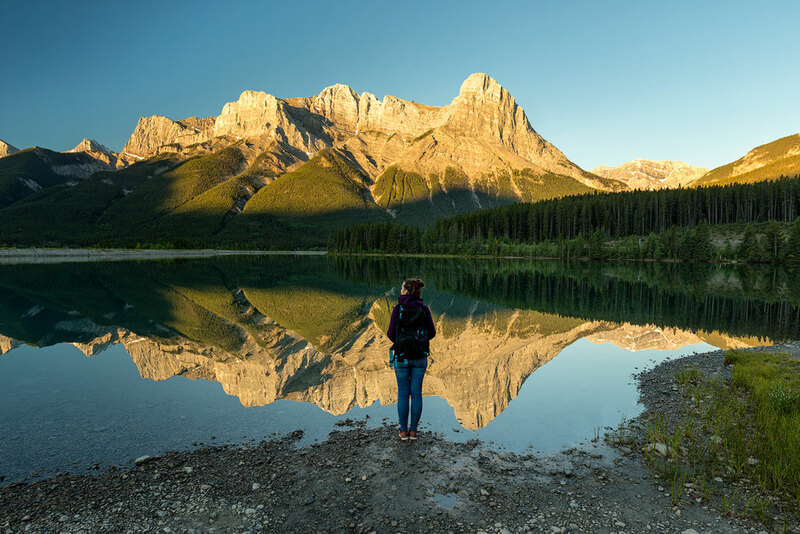 Not only it feels less crowded, but its close vicinity to Kananaskis Country - my favorite place for hiking in the Canadian Rockies, made it an easy choice for me when I was looking for a place to settle down for a while. 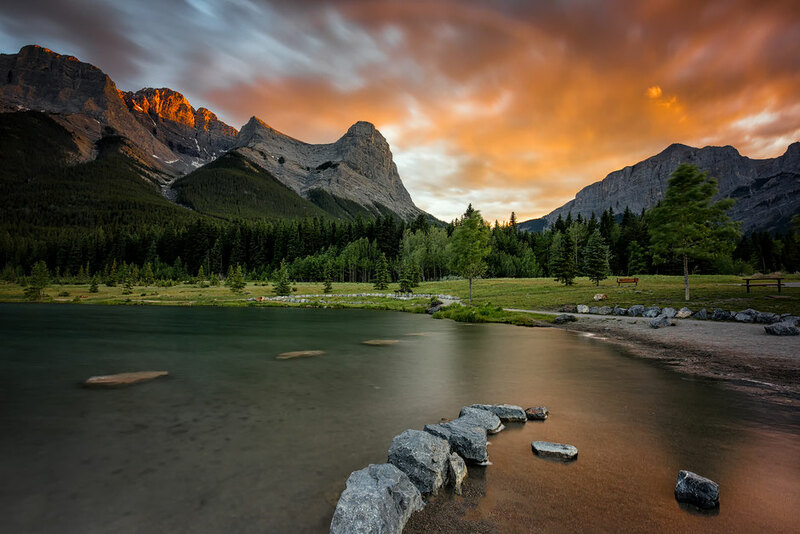 Kananaskis Country is an amalgamation of provincial parks surrounding Canmore. 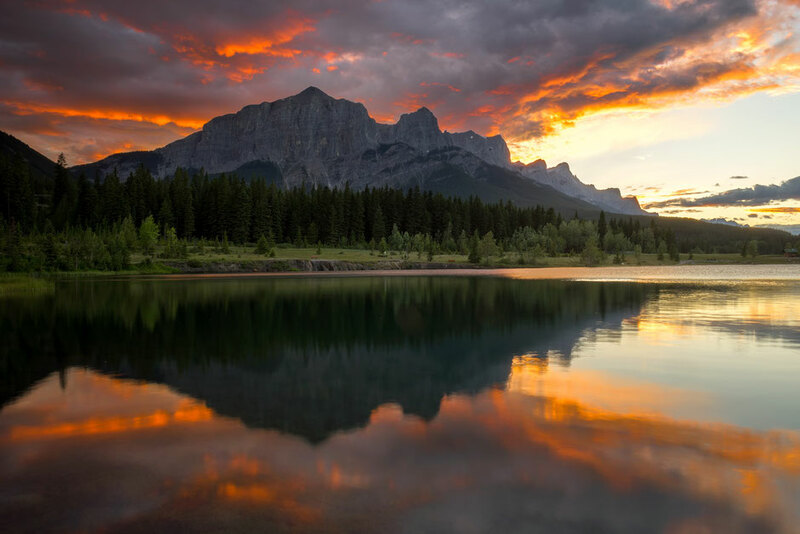 Many of them used to be part of Banff National Park before the park boundaries were reduced in 1911 due to pressure from mining and logging corporations. I guess money really does talk. 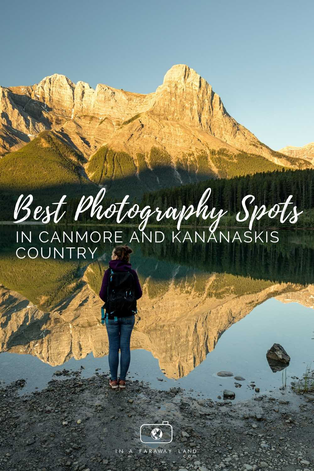 Many of my travel itineraries around western Canada spend a decent amount of time in Canmore and Kananaskis. 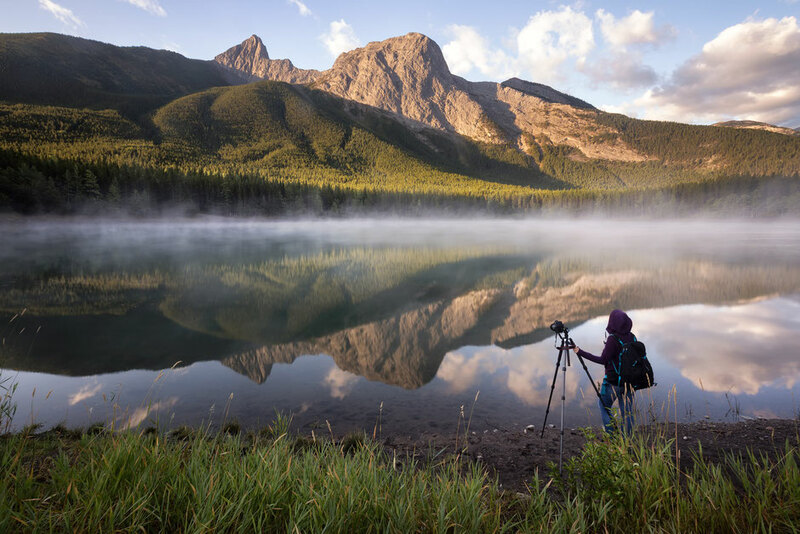 It's a photographers paradise if you know where to go! 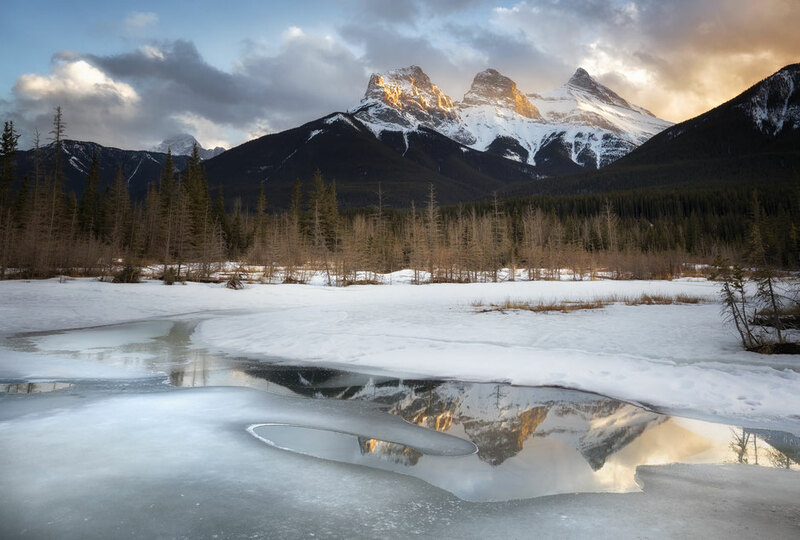 The Three Sisters known as Hope, Charity and Faith quietly guard Canmore from their vantage point overlooking the Bow Valley. The best spot I've found to photograph them is by the Policeman Creek. To get there, park at the off leash dog park just past the helipad on the Bow Valley Trail. Cross the road and go under the train tracks whilst being super careful. Make sure the creek is on your left hand side as you're following it along. Eventually it opens up and offers fantastic reflections of the Three Sisters and the chance to spot a beaver or two. A small reflecting body of water on Highway 40 in the heart of Kananaskis Country. 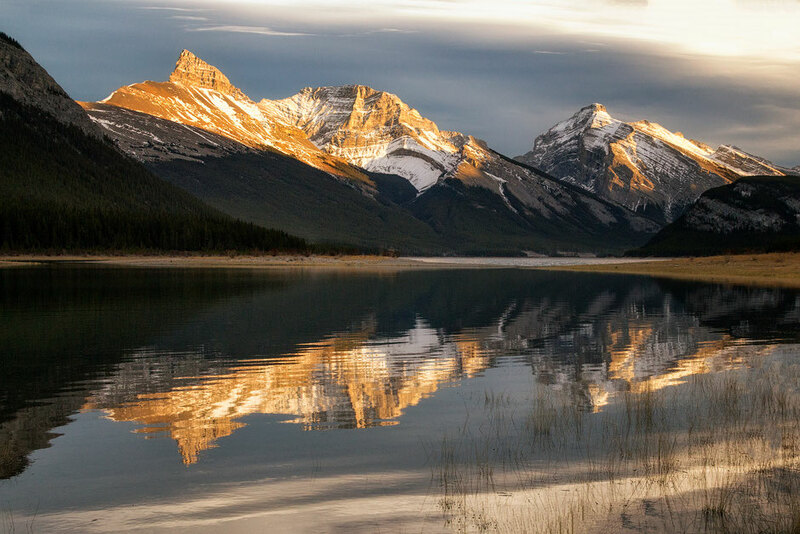 A short 50m walk to the shoreline from the carpark is where reflections of Mount Kidd and the surrounding peaks can be found. A spot that is sensational at all times of the year but particularly special during larch season in September. Right in the centre of a housing district, where the locals swim and jump off rope swings, is Quarry Lake. 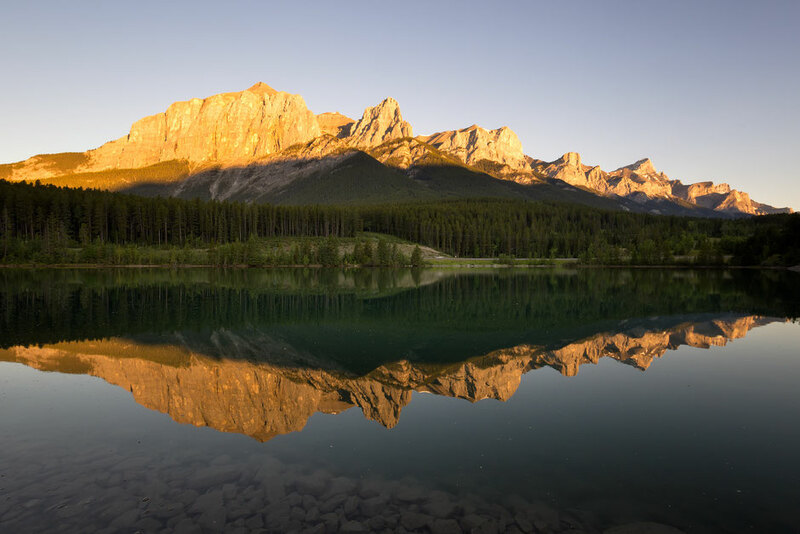 A relic of the mining days of Canmore, Quarry Lake is a much adored feature not only for the locals but for photographers like us. 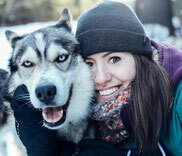 The best access is from the off leash dog park on Highway 742 before you get to the Nordic Centre. Canmore gets it's water supply from the Spray Lake Reservoir. 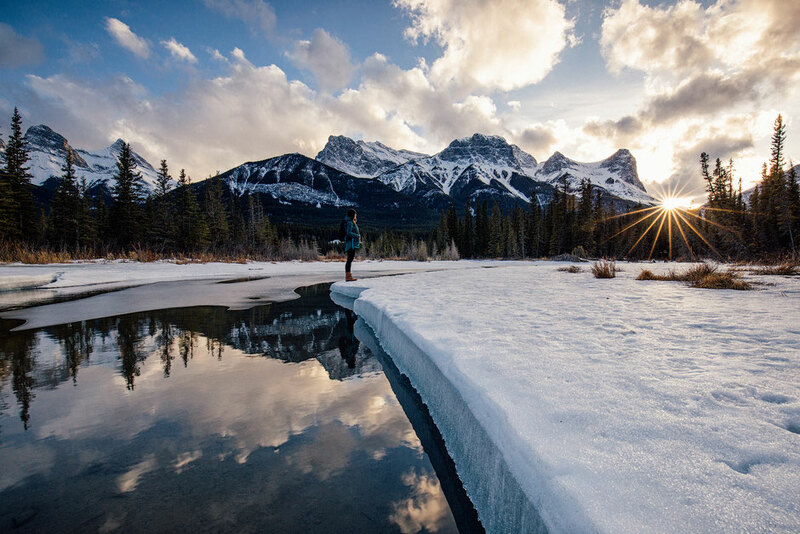 It comes down the Spray Lakes Canal into White Man's Pond and then down from the pass into the Rundle Forebay. Here it sits and waits to be redistributed around town. Whilst it waits, especially on a calm day, mirror like reflections can be found. The parking is just opposite the Nordic Centre, you can't miss it. 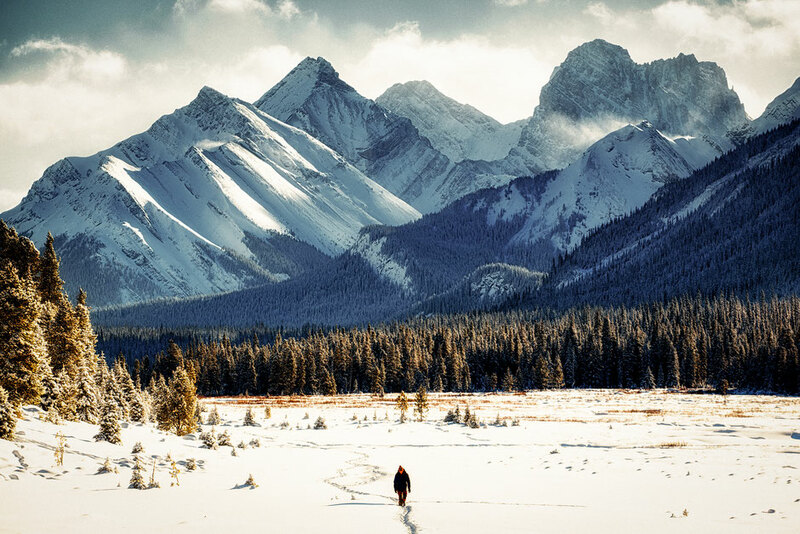 Mount Engadine Lodge lies 37km south of Canmore on the Spray Lakes/Smith Dorien Highway (742). 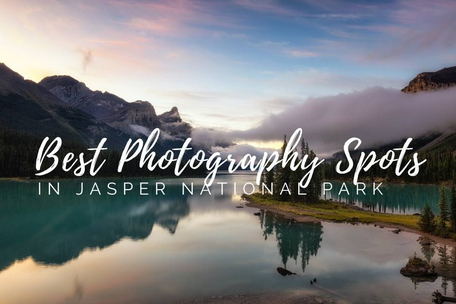 If you look out of the windows of the luxury back country style lodge you can see Moose Meadows which are not only fantastic for landscape photography but also for wildlife photographers looking to snap a shot of the elusive moose that inhabit the area. 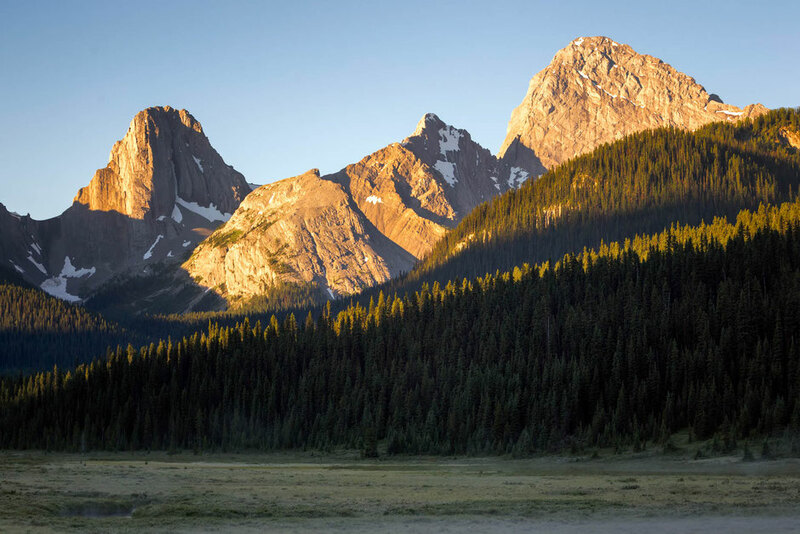 It'd would be difficult to complete this list without including Ha Ling Peak. Although more of a hike than an actual photography spot, Ha Ling Peak is a must do for everyone visiting. 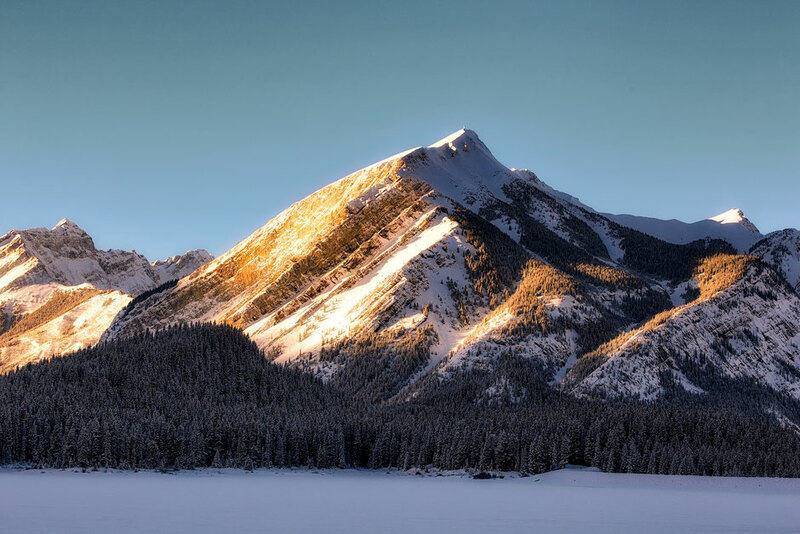 It's the most popular summit in the Bow Valley. If you really want some special shots consider getting to the top for sunrise. 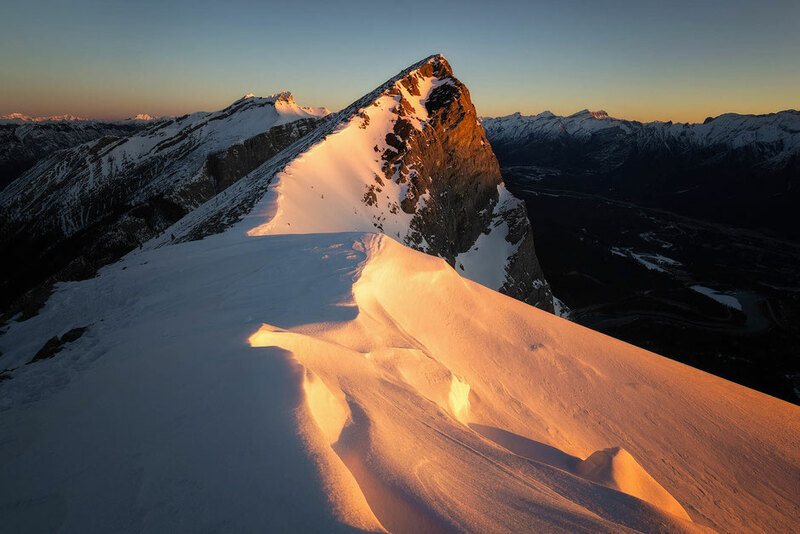 The actual hike is easy, it's just the waking up that's the hard part but I honestly think that my sunrise experience on Ha Ling Peak allowed me to create some of the best photos I've ever taken. 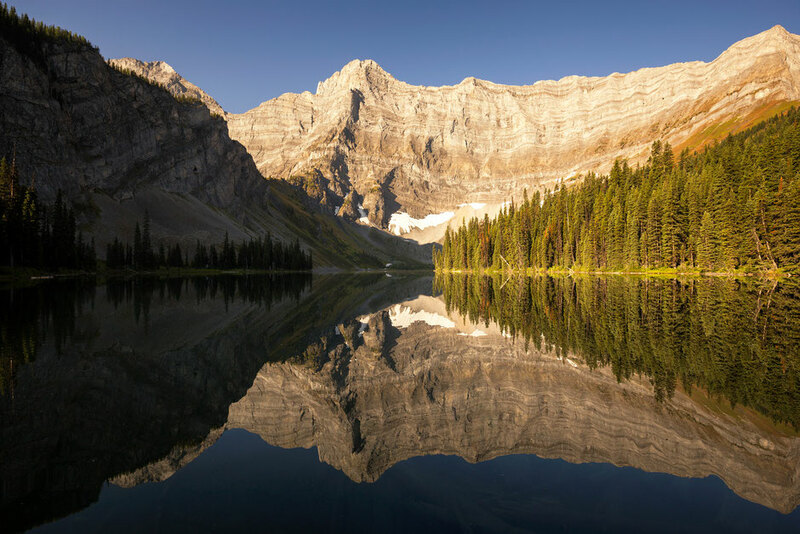 This short hike leads to an alpine lake situated beneath the cliffs of Mount Sarrail, if you want to go further maybe hike to Sarrail Ridge as well. On the walk to the lake you'll also pass Sarrail Falls. It's a stunning lake that is well worth the few hours it takes to get there and back. 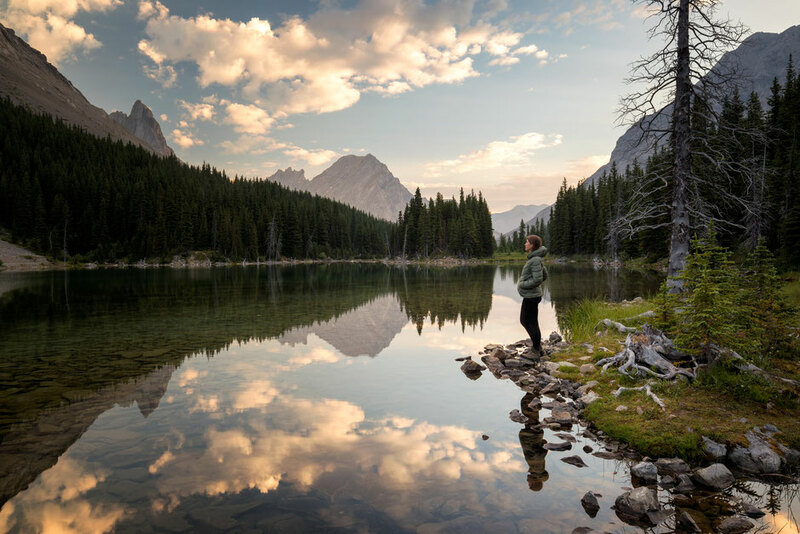 This is one of the best hikes in Kananaskis. 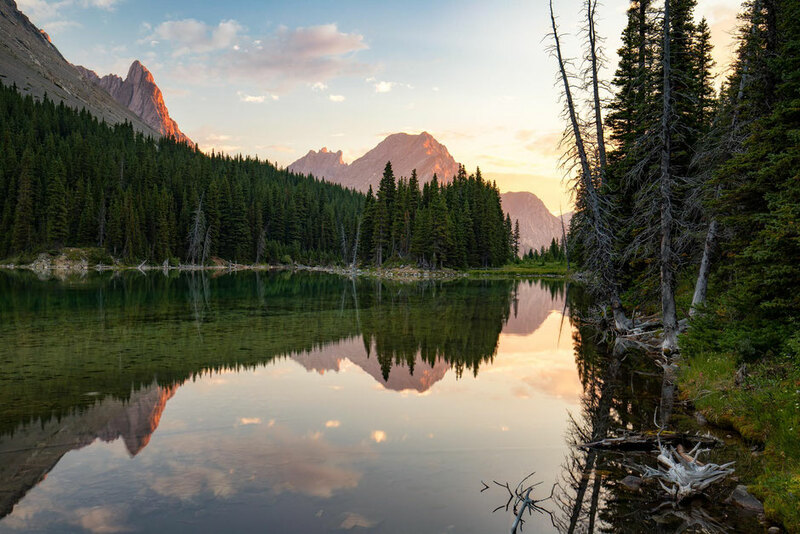 The Upper Kananaskis Lake is 60 km south of Canmore as the crow flies. Unfortunately we do not possess the ability to fly, if you plan on driving the best way to do so is by going down the paved Highway 40. 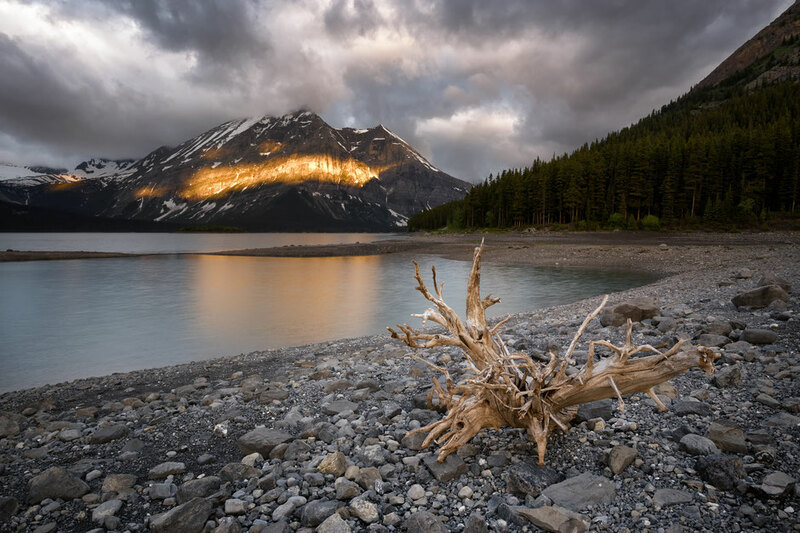 The hike around the Upper Kananaskis Lake is very rewarding. It's also marks the start of the trail up Mount Indefatigable, one of the best trails in Kananaskis Country. On highway 742, just after Goat Pond, the Spray Lakes Reservoir is a long man made reservoir which has a huge catchment area. From the northern shore incredible views of Mount Sparrow Hawk, The Rimwall and The Windtower can be seen on a still day. Elbow Lake is a charming alpine lake reachable by walking the short distance (around 15 minutes) from the trailhead near the Highwood Pass. It's one of the view points on the way to Piper Pass, one of my favourite day hikes in the Canadian Rockies. There's a lakeside campsite there if you want a night by the fire. Whilst it shouldn't be difficult to locate the spots I have mentioned in this post when typing them into google, to make things easier for you, I've marked them all on the map below. Click on the point you want to check out. A description of the point will appear on the left. If you'd like to get detailed directions on how to get there, click on the white arrow on the red strip.